I’ve been putting off writing this letter for a long while now, but I think it’s time we got things out in the open. Whatever comes of this, please know that you’ll always be my most favorite, most special, and my most beautiful silver city. You know that, don’t you? You really are something special, something amazing, something unique, and I’ll always cherish the times we had together. Who could forget that first afternoon during Semana Santa we spent together? 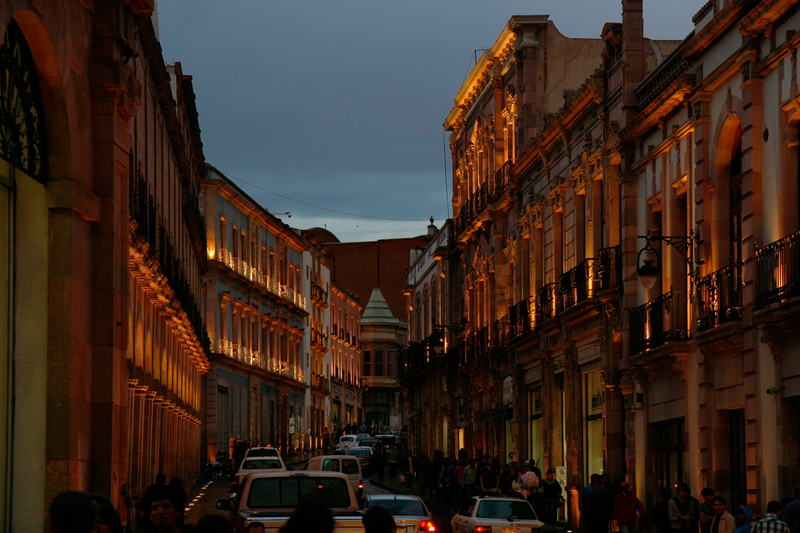 Wow, one glance at Calle Hidalgo, and you practically knocked me out with your breathtaking beauty. Later, you seduced me with you lovely, sinuous terrain, with hidden vistas, plazas, and voluptuous mystery lying just around the bend. And who could forget the exhilaration of crossing the valley in the Teleferico from Mina El Edén to the Cerro de la Bufa? It gives me chills just to write about it. Oh, Zacatecas, your architecture! My heart is beating faster now just thinking about it. How could any place compare to your loveliness, all carved out of beautiful, pink cantera? Nowhere else is like you. From the Plaza de Armas with its shows, dances, fireworks, and clowns to the ornate Teatro Fernando Calderón to the breathtaking Calle Hidalgo, to all the lovely, hidden plazas, you are one charmer extraordinaire. And man, you may be over four hundred years old, but don’t listen to any of those doubters. You can still turn plenty of heads. When you got that fabulous uplighting on all your buildings a couple of years ago, Whoa! I swooned when I saw that, and I fell in love all over again. Oh, and the adventures you’ve given me. Really, you have given me *SO* much. I’ll be forever in your debt. You led me to Enrique, a stunning young man in every way. Yeah, a little “loco” thinking he was unattractive, but he graced your cobblestoned streets with his mere presence. And though I haven’t written about them, and probably won’t much here, there were a couple of other handsome fellows you threw into my path that really changed my world. Especially that handsome young, straight, narcotraficante from Ciudad Juarez who had found Jesus and come to live a new, honest life in your tender embrace. How could I forget his spine-tingling tales of dealing drugs, holding up trucks, and shootouts with other gangs? No one else has ever introduced me to a guy like that, really. And you just knew he’d fascinate me. And I’m so glad that you’ve helped him onto the straight and narrow. Please look after him for me. I know he can make it, but a little help from you wouldn’t hurt. And the closeted cowboy. Yeah, that one, the one who really does spend his days on the back of a horse rounding up cattle. Meeting him was *QUITE* an experience, one I’ll never forget either. And he’s a clever devil, really, what with his pretext of having found my wallet in the street. That got me out of the hotel and into his car. I know, I know, against my better judgment, but it was all under control. You were looking out for me, and he really was a wonderful guy with a wonderful heart. Zacatecas can you please look after him too? He really deserves to be more comfortable in his skin and to be happier. I know you can help. And through all these people, Zac, you really taught me something about you, something about Mexico, and in the end something about myself that I couldn’t have learned in any other way. Really, you don’t know how grateful I am, and will always be. Honestly, I’m being sincere. I hope you believe me. But you know, maybe we were just never meant to be one of those “forever” couples, you and me. Sometimes the hottest passion just can’t be sustained. I know, I know. You tried your best, really I know. This is my fault, all my fault. You did everything you could. You put that wonderful house into my path. And really, it could hardly have been more perfect, what with its location just off the plaza, garage, colonial style, but modern amenities. Yes, I know, I’m a bit of an ingrate. You gave me multiple chances at it and you even managed to crash the exchange rate. I know…I know… I’m a pig. I admit it. You really did your best. Again, this is 100% my fault; it’s not yours. You’ve been perfect in every way. But I can’t really help myself either. I know we had our fling and my feelings at the time were so intense, honest, and true. I was smitten beyond the reach of all reason. But surely you must have known deep in your heart that I’d always be a big-city boy. Could it have been any other way? I’m so sorry I led you on. So I have a confession to make. I’m going to stay right here, with your brother, Mexico City. I’m sorry. Really, it hurts me to write this, and I know it hurts especially badly when it turns out you’re being abandoned for your own brother. But really, it’s not Mexico City’s fault. He really acted honorably in all respects, urged me to go back to you, told me it wasn’t really the proper thing for us to be together like this. So it really is all my fault. I take full responsibility. It was I who decided to fly here on a one-way ticket. And I should have known better. Yeah, Mexico City has always had my eye. And I feel bad that you had to find out this way, and it hurts me to admit that I’ve been unfaithful. So I guess I should just come out and say it. I’m kind of crying as I say this, but are you sitting down? I…I, well, I’ve just arranged to rent an apartment here. I’m sorry. I just couldn’t help myself. You know, I have known Mexico City a lot longer than you, and we’ve always clicked. Sure, we had our disagreements, but they’ve always been minor. But he and I just, I don’t know, just kind of fit together. It’s not a totally rational thing. Look, I know it sounds like a cliché, but you’ll always be special to me. I’ll never forget you. It’s just that sometimes we all have to make tough choices. Honestly, this isn’t easy for me either. I know it hurts now, but I think we’ll all be better off in the long run. I promise I’ll come to see you, and I also promise that I won’t bring Mexico City with me. And I won’t mention him when we’re together. Meanwhile, remember, I’ll always love you, love you, love you, and you’ll always have a special place in my heart. So please, Zacatecas, please forgive me. I know you’re going through a lot of emotions now. But please, when you’re done being mad, please forgive me. 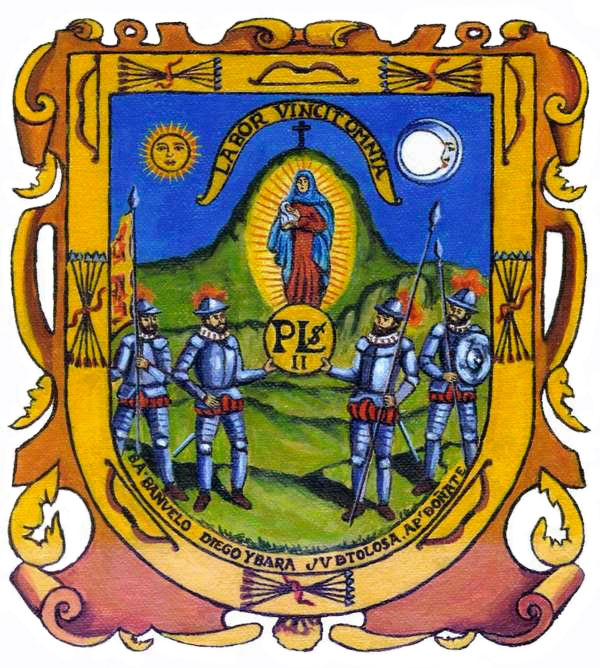 Mi lindo Zacatecas, you could have not said it better. Beautiful letter! I have been to Mexico City and it is a magical city. Hola ImpossibleisNothing! Thank you for your kind comment. 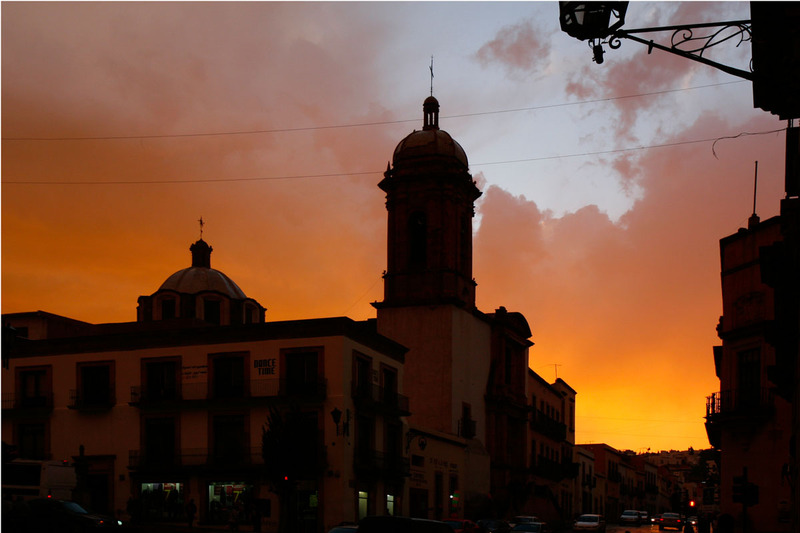 Zacatecas really is a magical place, isn’t it? By the way, any future comment will be automatically approved. Saludos! Now this is a very, very emotional letter. And after reading it, turns out that what I feared… is true. I know I never mentioned it these days on Skype, but somehow I was hoping that we could meet in Zacatecas, since for some reason I thought you’d be in Mexico City a few days and then spend the rest of your time in Zacatecas. No special reason to think that way. Perhaps I had the silly idea that you’re closer to Monterrey in Zacatecas, and this is true if we count the kilometers between both cities, but after all I’d would have to fly to see you and when you fly ANY place is close. Congratulations on your decision to rent an apartment in Mexico City, the convenience will make your stay a happier one. I’ll make plans to visit soon, let’s make sure we go to some nice place to have some tequila and make a toast for Zacatecas. Hola Tino! Well, the post I wrote in December, “One Way Ticket to Mexico,” pretty much said I’d spend the winter in Zacatecas, so you thinking that wasn’t exactly misdirected. But maybe we can meet in Zacatecas as it’s half way to Monterrey or Mexico City, depending on where you start. At least for you, it’s probably about a 5-6 hour drive, a pretty straight shot once you get out of Monterrey. And Saltillo is easily bypassed. (And from what I’ve read, best bypassed too, as it’s supposedly full of mordida-seeking cops.) But if you want to come to DF I’d be DELIGHTED to see you. ¡No cabe duda! I was supposed to go and sign the contract for the apartment today, but the agent wasn’t in, so we’ll see tomorrow. I want them to make some changes; we’ll see if that’s possible. If not, I’ll have to find another place. Zacatecas was one town that I never quite made it to. Maybe one day. One can but hope. Is it so much nicer than Guanajuato, which I loved? But I cannot believe any magical silver town will ever make me want to betray my true love, Mexico City. Hola Gary! I love Guanajuato, but I think the buildings in Zacatecas are overall nicer and more ornate. And Jerez, about 50 km down the highway is another charmer too, though it doesn’t hold a candle to Zacatecas overall. As for betraying Mexico City, well, you might be allowed an indiscretion or two. Saldos and thanks for stopping by! Thank you, Kim; I now have “Torn between two lovers” stuck in my head. I expect Zac is the kind of guy who would take you back if DF turns out to be a flake. (Which I hardly expect.) Congratulations on the apartment! This is going to be one fabulous winter. Hola Ella! It’s ALREADY a fabulous winter. But I think you’re right about Zac. He’s been very understanding so far, and took the letter far better than I expected. So who knows? And you’re right about DF, so really, I think I have the best of both worlds. Saludos and thanks for stopping by! Hola Simone! I guess I’ve already been a bit of a tease already, so maybe Zac realizes there’s still some hope. And for my part, well, I guess I can’t say I’ve totally moved on either. Saludos and thanks for your comment! Hahaha….now if only I had the energy. Not only does he forgive you – he’ll always be there…ready to take you back or wrap you in warmth of celebration or salve should you need a place to get away to and then send you on your way back out into the world after he’s soothed you and fed you. You are plugged in there just as you are in DF – a different current, yes, though still a vibrant flow of energy. Such is the way with true love – we celebrate each other without fixating on the outcome. Too, we can deeply love more than one, yes? Wow, Barbara! That’s soooo sweet! And yes! You are 100% right! 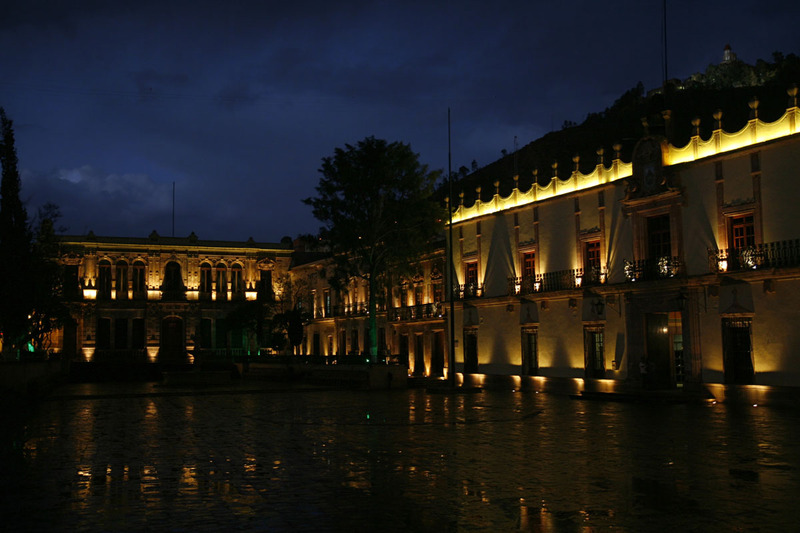 I CAN deeply love Zacatecas and Mexico City both. But it’s just hard to be so far away. But still, you’re making me feel much better. Gracias! And thanks for stopping by! It is good to have such a lover tucked away. That yearning, that thrum when we think of him…oh yes…and distance simply serves our focus when we heed the pull and go to him. You are a wise woman, Barbara. And as you said, he’d probably take me back, though I’d have to be *really* nice this time. Saludos, and love your comments! First spend the month of January in Zacatecas, 2496 meters above sea level (800 feet), then rewrite your love letter. Hola Don Cuevas! I imagine you are referring to the chill of winter there. Well, I know you’ve spent the bulk of your life in the south of the USA, but let me tell you. If you can winter in Boston, Zacatecas will be a breeze. Oh, sure, the houses are neither well-insulated nor well-heated, but aside from a light frost in the mornings, as far as I can tell from the weather data, it almost always warms up in the day into the 60’s or so. By the way, Mexico City is only about 110 meters lower than Zacatecas, and yeah, there have been some chilly nights, but I never need more than a sweater in the morning. Contrast that with Boston where the first week of January (not this year) sees single-digit Fahrenheit night time temperatures and mid-teens temps in the day. Zacatecas can’t possibly be anywhere near that cold. Saludos and thanks for stopping by! I can remember only one winter in Mexico City where I genuinely felt cold. It dropped to a low of 2 degree C for a few days. Cold enough that I went out and bought a cheap electric space heater. I survived. Haha…yeah, 2° C without heat would be pretty chilly. But otherwise it’s not like spending the winter in Boston. I’m always amazed at how bundled up people here were last week and the amazed looks they gave me when I was walking around in a mere long-sleeved shirt. Saludos! A dear Zac letter, really? Zac gave you the best years of his life. Ah well, I suppose Zac is a big boy, and he knows his “forever” companion will come along some day. It may take another 400 years, but Zac can wait. Zac is strong, and as you say, still has the capacity to turn heads, including that of the occasional romantic with good intentions, but a roving eye. Hola Lee! Thank you, your comment makes me feel much better. As you say, Zac has a lot going for him, and I’m sure the forever companion will come along soon enough. Saludos! I’ve never been but you sure make me want to go visit. And when I do I’ll try not to bring Mexico City with me but that might be hard since it’s kind of engraved on me. Hola Mani! Well, you can bring Mexico City. Since you and Zac haven’t had any kind of affair (yet), I’m sure Zac won’t initially feel jealous if you bring Mexico City. Just try not to get involved in one of these sticky three-way situations. Saludos y gracias por comentar! Haha, thanks for the tip. Bonito fin. Very cleverly written post, Kim! I’ve never been to Zacatecas. I am sure that it is beautiful, and a great place to visit. But I just can’t imagine you living out in “las provincias”. Good decision! Hola Bill! Who knows? I may fall in love with Malinalco. As you know, I have “ojos alegres,” haha. Saludos! Hola Christine! I think you’re right. My friend Julio helped clarify my thinking a lot. And thanks for the comment on the letter. Saludos!